NEW IMPROVED FORMULA - Now Contains BLACK ELDERBERRY & D3! Immuno-Ex is an advanced nutritional supplement that combines 4 well researched products: DMG, Maitake PD-Fraction® (Maitake mushroom extract), Black Elderberry and Larch tree extract with Beta 1,3 glucans. This synergistic and powerful blend is then combined with Vitamins C, D3 plus E and mixed with Zinc and Astragalus which work to support and boost Immune System function making this product a great choice for anyone with a weakened or compromised immune system or for those who want to prevent their immune system from becoming weak. DMG, as demonstrated in numerous clinical studies, can help maintain a strong immune system by supporting increased resistance to invading microorganisms and enhancing antibody and lymphocyte production. Larch Tree (Larix Occidentalis) is a time-tested source of Arabinogalactans, which support the immune system in its production of immune cells and limiting unhealthy cell replication. Maitake mushroom is a highly concentrated source of Beta-1,6-Glucans which research has found supports the body’s first line of defense, including macrophages and natural killer cells. Maitake D-Fraction® has been extensively researched, and is one of the most comprehensive immune support ingredients available. 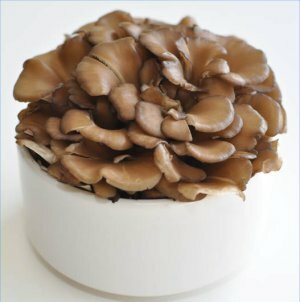 It is the only Maitake ingredient that has been approved by the FDA for conducting phase 2 clinical studies (IND #54,589). Black Elderberry contributes anthocyanidins that provide immune-modulating effects. Beta-1,3-Glucans are shown to activate B-Cells and T-Cells. Although derived from yeast there are no yeast proteins in it. The Beta Glucans are made from the cell walls of baker’s yeast, which is then purified, and free of allergenic material. Astragalus is a Chinese herb that has been extensively studied since the 1970’s for its ability to support the immune system. Vitamins C, E and D - Vitamin C is a powerful antioxidant that helps protect cells from oxidative stress. It also supports the production of antibodies, a major function of the immune system. Vitamin E is a powerful antioxidant that supports the immune system via its ability to enhance natural killer (NK) cells and B cells by stimulating the production of natural (NK) killer cells and the production of B-cells which create antibodies. Vitamin D is an immune system modulator to support healthy T Cell and macrophage responses. Zinc is essential for a healthy immune system. It is required for the development and activation of T-Lymphocytes, a type of white blood cell that helps fight infection. Why pay more for inferior supplements? Keep your family healthy at affordable rates. When it comes to PRICE & QUALITY Bio-Alternatives is the best value available! As a dietary supplement, take one chewable tablet 2-4 times daily. Other Ingredients: xylitol, manitol, stearic acid, vegetable stearate, natural strawberry flavor, natural raspberry flavor, silicon dioxide, natural peach flavor. 120 Vegetarian Chewable Tablets JUST $29.76!